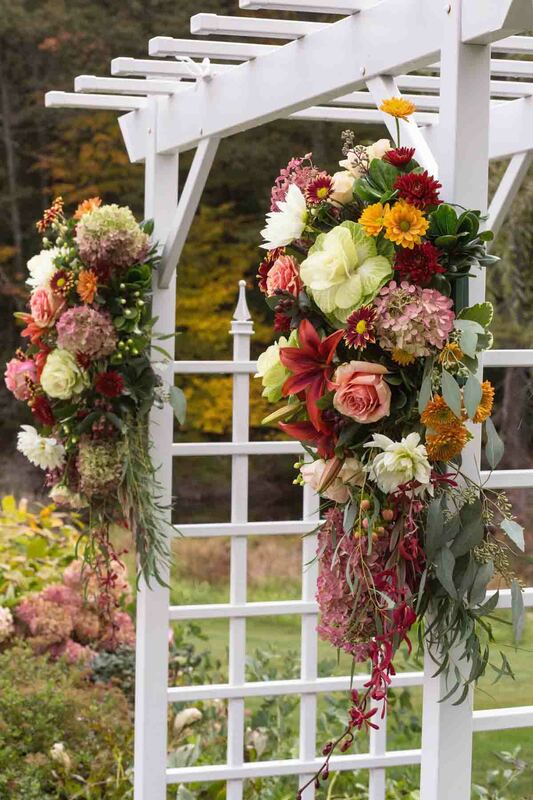 We just love this breathtaking fall wedding, which took place at the always beautiful Harrington Farms in Princeton, Mass. 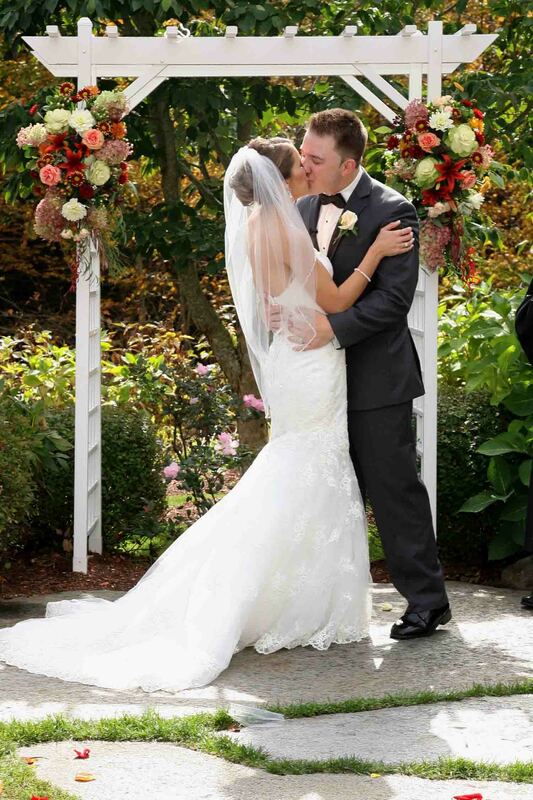 The bride and groom said their vows under a white pergola, decorated in the russet tones of fall with white accents. 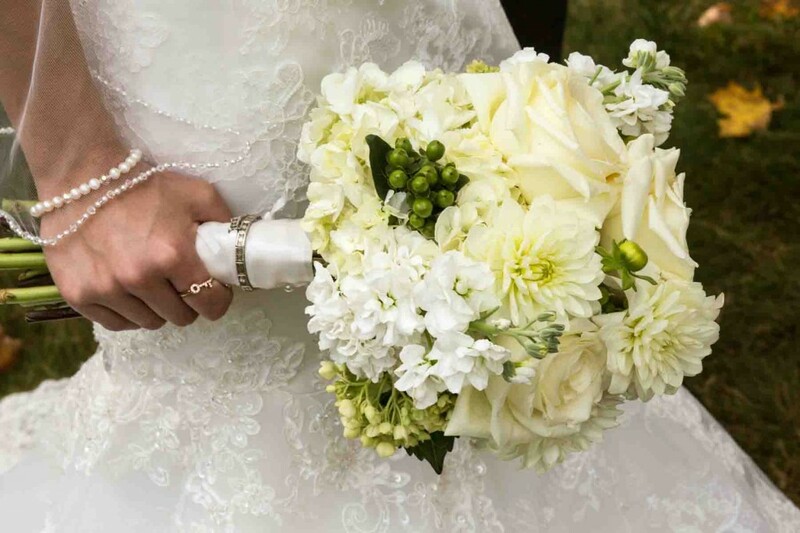 Dahlias, white kale, fall chrysanthemums in burgundies and gold, rusty PG hydrangeas, peachy garden roses, and wine-colored “Blackout” lilies created a rustic, yet elegant backdrop for the ceremony. 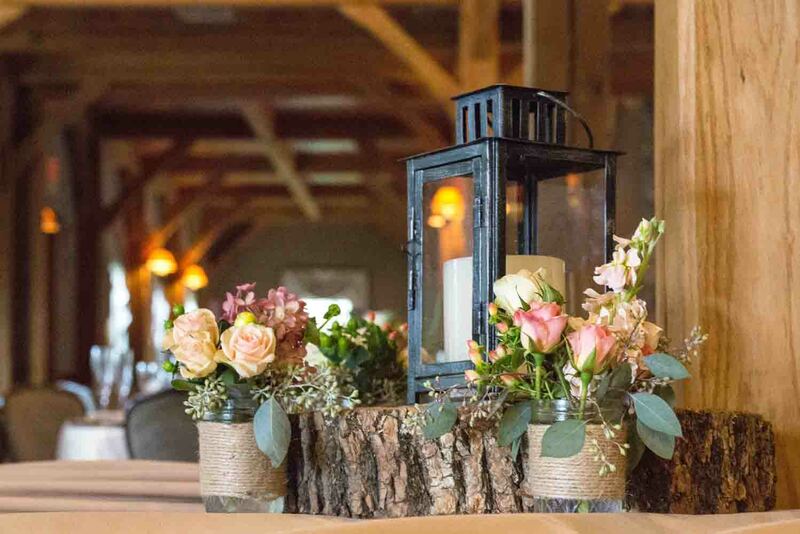 For the centerpieces, lanterns with pillar candles were set on top of a log slice, with small arrangements in twine-wrapped mason jars providing the floral accent. 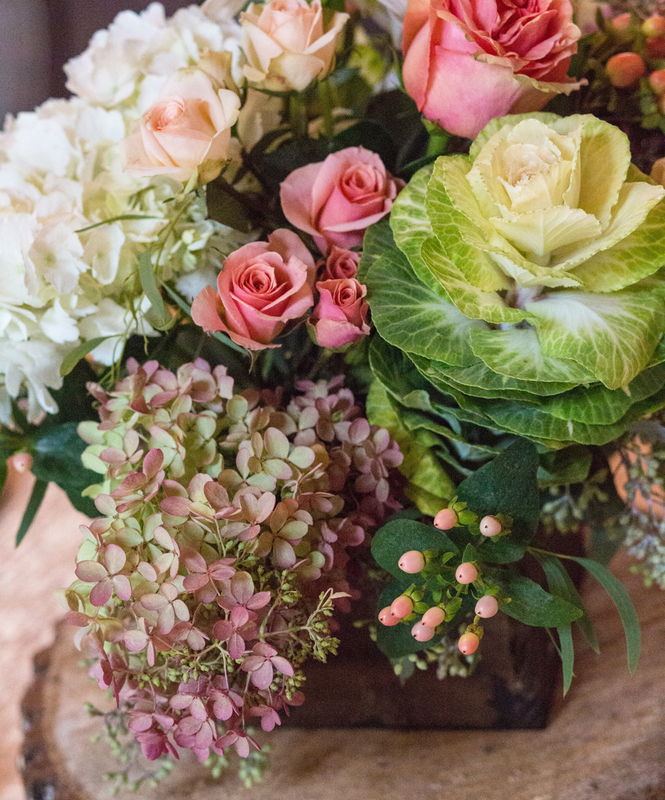 On alternating tables, flowers were arranged in simple wooden boxes. 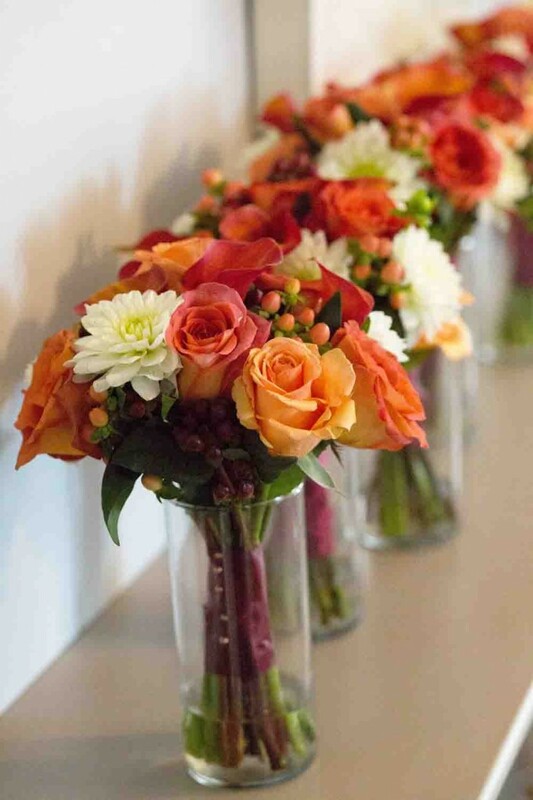 This wedding was the epitome of fall in New England, don’t you think? These gorgeous images were provide by Ericson-Wolfe photography. Floral eye candy! This decorated pergola was gorgeous! 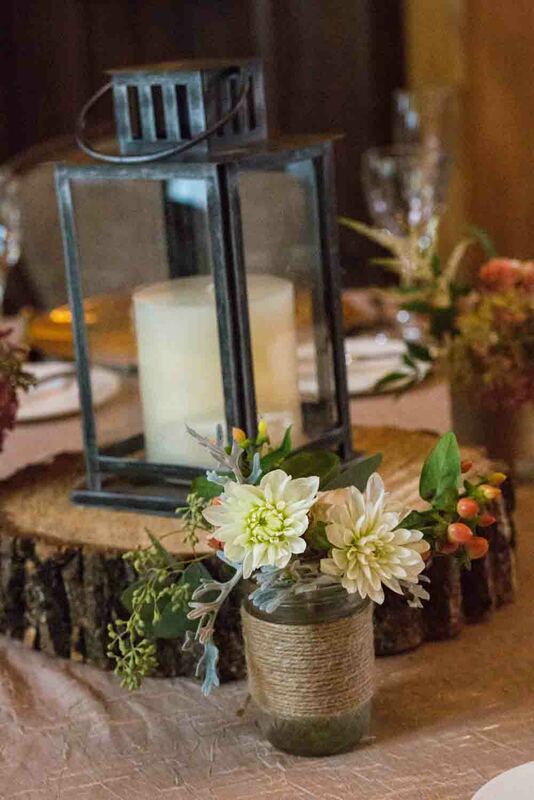 Lanterns, a log slice, accompanied by small mason jar arrangments.